Adding renters insurance to a standard auto policy can help you save. Save up to 15% if your rental is equipped with qualifying safety devices and services, like a security system or fire alarms. If you sign up to have your renters insurance payment automatically withdrawn from your checking or saving account, you’ll save up to 5%. Enjoying your retirement? If you’re not actively seeking full-time employment, enjoy up to 25% off your premium, too. Renters insurance in Florida is basically the same as homeowners insurance but with some important differences. The idea that they commonly shared is that if something goes wrong you would be left without a roof over your head and you might lose some of your property you own. In this situation, it pays off to have insurance that covers you. So renter’s insurance will cover the place you’re renting, and it could also cover some of the property you own. It’s always cheaper than home owner’s insurance, and based on each case you will have access to a discount. Talk to your landlord and find out if you need a renters insurance and if there is a specific type that you need to get. Once you know if you need a specific type call to one of our specialist so they can help you understand the options you have based on the type of property you are renting and also your assets that you want to protect. 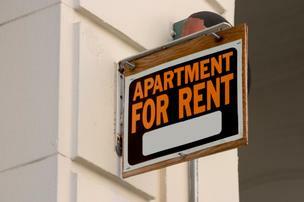 Can you be evicted if you don’t have renter’s insurance? “There is not a law that you have to have renter’s insurance, but there could be a provision in your lease requiring it. If the insurance is required by the lease, you can be evicted for not carrying insurance. Keeping renter’s insurance in place is a good idea. Rather than trying to fight your landlord on this, just buy the insurance…”, says Marshall C Deason Jr, real estate attorney. *Talk to one of our agents to learn more about getting a renter’s insurance discount.